Check Out UT SHRM’s Bulletin Board! Be sure to check our bulletin board for upcoming news, located in Stranahan Hall basement! You can find information regarding upcoming meetings, HR news, and what our members are up to! 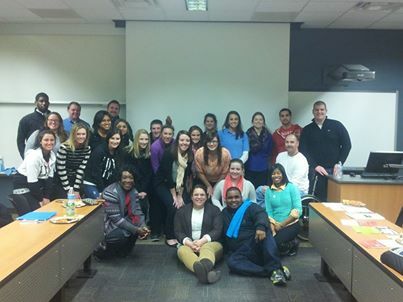 Welcome to The University of Toledo student chapter of the Society for Human Resource Management. We are a student organization that provides students with the opportunities for professional development and a means to network with human resource managers. Members include a variety of business and non-business majors, and regular meetings are open to all interested students.